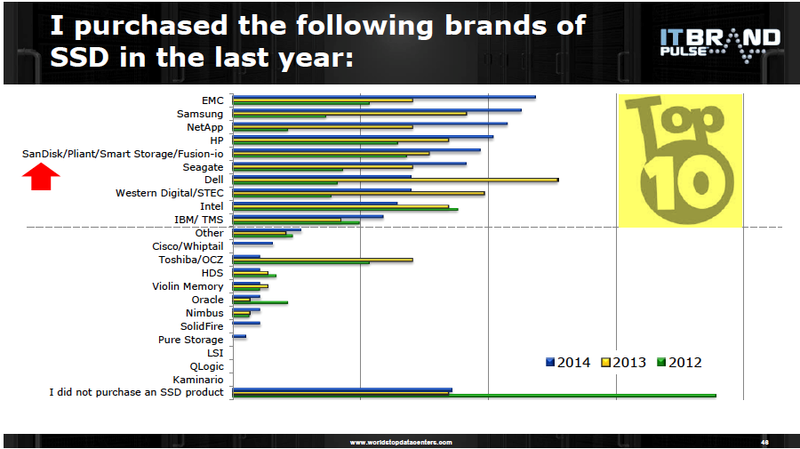 the Flash Memory summit took place this year between august the 5th till the 7th. 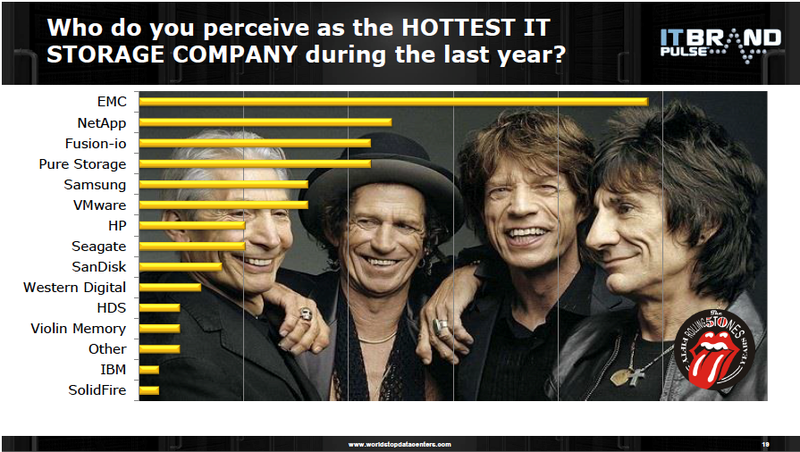 It shows EMC as the HOTTEST IT Storage Company. Who is #1 in this market? EMC is! 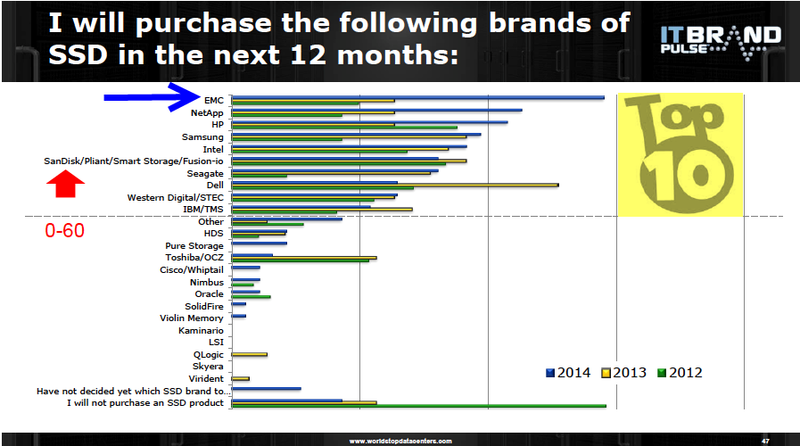 And who do end-users plan to buy from? That’s right, EMC! Look at where the other competitors are. Slide 54 –an interesting one, it demonstrate that you, the potential buyer, “evolved” quite a bit yourself but what does it mean? 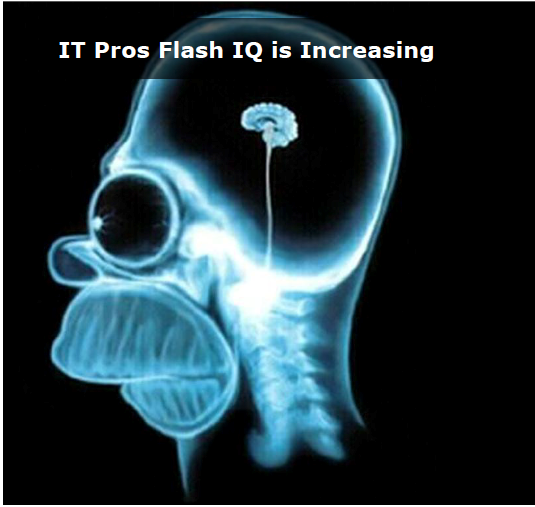 it means, that there was a lot of progress in the thinking process from buying a “dumb” AFA that provide performance only, to a more sophisticated array with data services, radically different architecture etc’, that is a very big thing as the AFA market is still confusing to some in terms of the differences between different vendors products, different testing methods etc’, i will talk more about these points in the 2nd part of this series.